August 15, 2012 marks the 100th anniversary of Julia Child... one of America's most famous cookbook authors and the most celebrated television cooking pioneer. 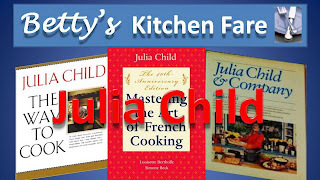 Julia is credited with introducing millions of American homemakers to the best of French cuisine. Here is Betty's video honoring Julia. Thanks for the sweet tribute to Julia on her 100th birthday. She was a truly amazing person. 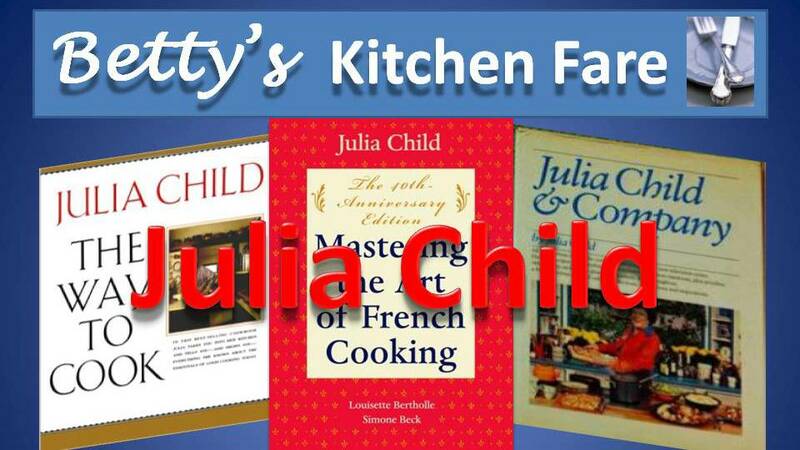 I learned to cook from my own dear mother as well as from watching all of Julia's cooking shows on PBS. She was a fantastic teacher. Loved the quotes at the end. Thank you Betty! !